ISO 14001 is an internationally recognised standard for Environmental Management. The purpose of the standard is to provide organisations with a framework and a set of guidelines that will protect the environment and respond to changing environmental conditions in balance with socioeconomic needs. The implementation of an EMS can help a company contribute to a more sustainable world by protecting the environment, by preventing pollution and negative environmental impacts, reducing the potential effects of environmental circumstances on the organisation, by ensuring legal compliance and by adopting a life cycle perspective, whilst at the same time delivering financial and operational benefits. The International Organisation for Standardisation (ISO) has revised the ISO 14001:2004 standard to ensure that the standard remains relevant in the business world we live in today. The ISO committee updated the ISO14001 standard in order to keep the EMS requirements current and relevant for the world we live in today. ISO14001:2015 has been updated and designed to respond to new initiatives and environmental terminology and concepts. Those businesses currently registered to ISO 14001:2004 have 3 years to make the transition. You can decide when to transition, but we recommend that you transition at the time of your three-year re-assessment audit. The deadline to move to ISO 14001:2015 Certification is by September 2018. This means that, after the end of September 2018, an ISO 14001:2004 certificate will no longer be valid. We are offering a wide range of solutions to help you make the transition from ISO 14001:2004 and meet the 2015 requirements. 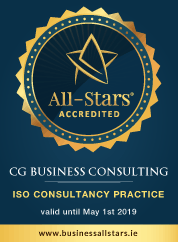 Our range of services includes gap analysis, training, including in-company management briefings and transition planning and facilitation workshops, and audits, all of which are designed to make your transition to the new standard(s) as seamless as possible.